Lease for $732/month for 36 months with $3,999 due at signing including $0 Security Deposit and 10,000 miles per year. Payment expires on 04/30/19. Estimated Lease payment based on 36 months and $3,999 due at lease signing. Cash due at signing includes $5,768 capitalization cost reduction, which includes $795 acquisition fee, plus a required security deposit of $0, and first month's lease payment of $732. Excludes title, taxes, registration, and license fees. Total monthly payments equal $32,091. Mileage charge of $0.25 per mile over 10,000 miles. Not all consumers will qualify. Residency restrictions may apply. 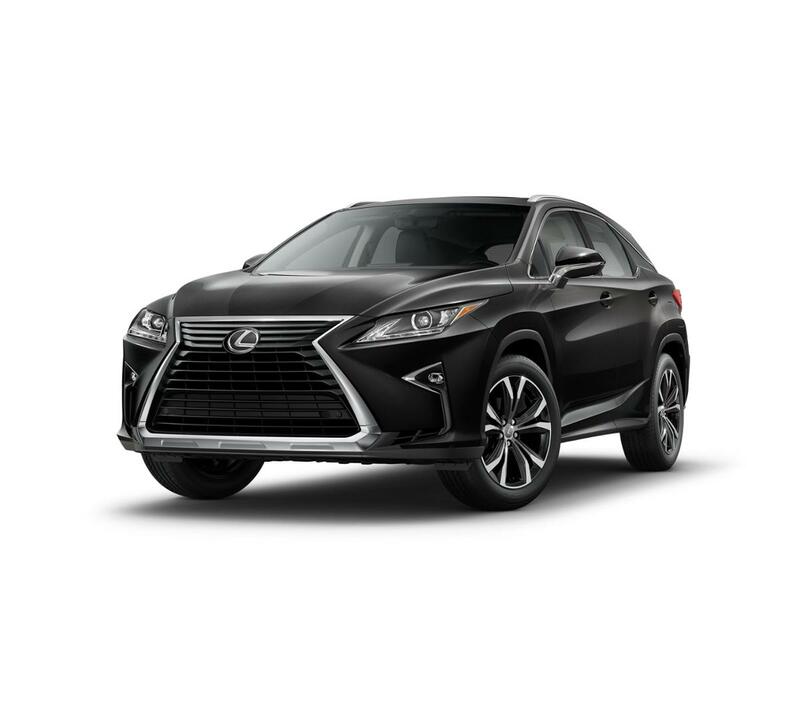 Available on approved credit to very well qualified customers through Lexus Financial Services and participating Lexus dealers on a new 2019 RX 350 AWD. Security deposit required with exception of prior Lexus Financial Services financing history and/or Lexus Financial Services tier rating in which a security deposit may be waived. Not all customers will qualify. Offer based on MSRP of $47,034 including delivery, processing and handling. Offer already includes $2,500 in Lease Cash incentives applied as a capitalized cost reduction. Monthly payment may vary depending on final price of vehicle & your qualifications. You pay $0.25 per mile over 10,000 per year. See dealer for vehicle and lease program details. Must take delivery by 04/30/2019. Offer available in CT, DE, MA, MD, ME, NH, NJ, NY, PA, RI, VA, WV. Lexus Financial Services is a division of Toyota Motor Credit Corporation (TMCC). TMCC is the authorized attorney-in-fact and servicer for Toyota Lease Trust. We are excited to offer this 2019 Lexus RX. This Lexus includes: WHEELS: 20" Tires - Front Performance Aluminum Wheels Tires - Rear Performance 3500 LBS TOW PREP PACKAGE BLIND SPOT MONITOR Lane Departure Warning Lane Keeping Assist Rear Parking Aid Blind Spot Monitor POWER TILT Generic Sun/Moonroof Sun/Moonroof TOUCH-FREE POWER REAR DOOR Hands-Free Liftgate Power Liftgate Remote Trunk Release HEATED & VENTILATED FRONT SEATS Cooled Front Seat(s) Heated Front Seat(s) HEATED LEATHER STEERING WHEEL Heated Steering Wheel Leather Steering Wheel ACCESSORY PACKAGE Wheel Locks PREMIUM PACKAGE Mirror Memory Power Mirror(s) Seat Memory Woodgrain Interior Trim Power Folding Mirrors NAVIGATION PACKAGE Smart Device Integration Navigation System CD Player *Note - For third party subscriptions or services, please contact the dealer for more information. * Want more room? Want more style? This Lexus RX is the vehicle for you. There's a level of quality and refinement in this Lexus RX that you won't find in your average vehicle. This Lexus RX features AWD. That means power and control delivered to all four wheels for maximum grip and improved handling. Enjoy the drive without worrying about directions thanks to the built-in navigation system. We look forward to seeing you soon! Please call us for more information.